Eleven people sat around the table. All part of a common cause, united as one team, a few similar in character, very different in looks, speaking multiple different languages and completely unique in personality. So running team meetings and wanting to best communicate with each of these individuals to hit their buttons was a weekly challenge. One liked it straight to the point, no BS and done in 2 mins, wasn’t into listening to everyone else’s stuff. Others like warm fuzzies, a chitter chatter, everyone contributing their bit, they were happy to sit around for 45 minutes. Another wanting praise and to feel 10ft high after a couple of minor wins, others preferred nothing being said at all. Some wanted the action steps spelled in detail, others would run with it, with barely a nod. You know how it goes from here, don’t you…. You’ve discovered the challenge of understanding the nuances of people, their personalities and how to motivate and inspire them. Have you figured out how to get the best out of them? Meetings can go on and on because you’re attempting to work everyone’s thing into it or perhaps you’re not attuned with what the individual needs of your team members are and in fact don’t give a toss. You make it your way. That’s cool too if it’s working for you. 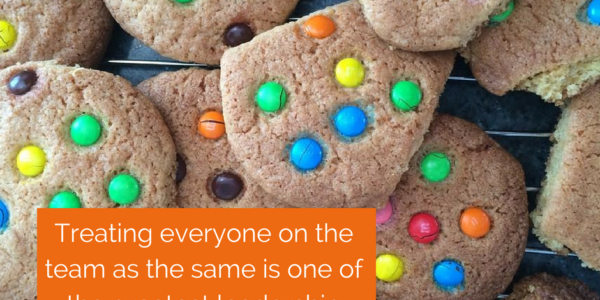 The cookie cutter approach is usually talked about in terms of sales and marketing processes, however, today, let’s apply it to motivating and driving a team. I still reckon in this day an age, the leader still needs to drive the bus. The difference is in making sure you’ve got the most ideal people on the bus for the ride. Those that are a match for the business, its direction, it’s pace, it’s creativity and it’s systems. And for that, finding those type of people to match to your team, the cookie cutter approach won’t work. It’s said that the cookie-cutter approach or style, means that the same approach or style is always used and not enough attention is paid to individual differences. This becomes truly vital for getting the best out of people. You need to pay attention to the individual differences. It’s not like you have to recreate the wheel either. There are some fabulous methodologies that have been in existence for many years that define and describe the differences in human behaviour and personality incredibly well. Values Pendulum, Disc, even the basics of 6 Core Needs, will give you tremendous insight into communicating and understanding your team. Whilst some people say, oh, but I don’t want to be put in a box. Never consider understanding human behaviour and the nuances of personality and thinking as a box. There are patterns. There are absolutely patterns of thinking and behaviour that give you clues as to what is going on for an individual or potentially not. These patterns will also be able to indicate why the challenges and problems are occurring for a business. Likewise, those patterns will give a great indication of what opportunities are available. A leader or leadership team’s current patterns may or may not be covering off on important elements for the business. For example, a leadership team solely focused on profit that has forgotten about communication, will have people and customer problems. A business leader that solely focuses on cash-flow or lack of it and isn’t clear on the purpose or direction, will quickly find themselves waylaid on achieving outcomes or spinning their wheels on taking action. A business will be a direct reflection of the human behaviour and styles of personality in charge or leading the business, influenced by the team supporting and surrounding the leader. So it could be time to ask a few questions? It could be time to delve deeper into understanding that each individual on the team and in the business is unique. Maybe it’s time to realise that inside each and every human being is infinite potential. 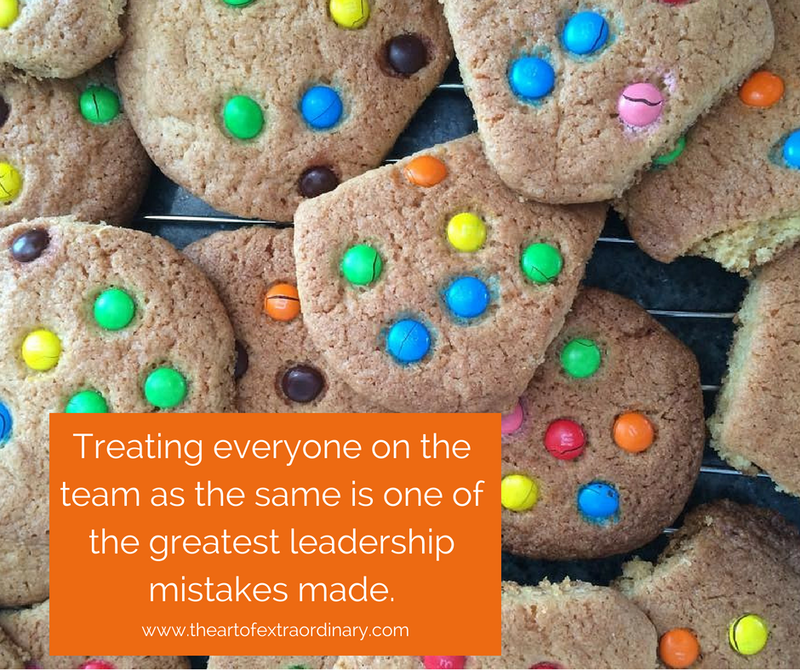 The cookie cutter approach may mean that you’re treating everyone the same and that won’t be tapping into what could be possible. What are the attributes of each team member that are helping enhance the business? What are the attributes of each team member that are hindering the business performance? What can we do to tweak, improve or change attributes that are not a match for business success? What’re the first three steps to implementing a shift so we’re using a more personalised approach to understanding and communication with each of our team members? Make sure you ask those same questions as leader of the business. 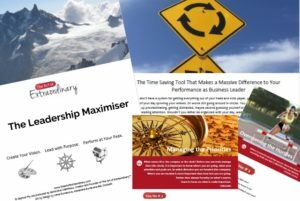 Share your thoughts and feedback on what patterns in your business are helping or hindering and 1 action step you’ve taken to do things just a little bit differently.